Sunset Nightly Rentals provides a quality that far exceeds any normal expectations of what a vacation home in Branson, MO might offer. Our luxurious private six bedroom vacation homes in Branson, MO are exquisite in every way, from their locations and spaciousness to their stylish furnishings and convenient amenities. This is the ideal type of accommodations to reserve for your family reunion, wedding party, large group getaway, or whatever occasion may be bringing you to the Ozark Mountains region. 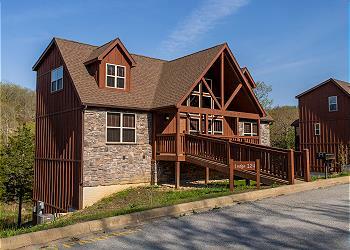 With Sunset Nightly Rentals, you will have the opportunity to be situated in Branson’s best communities and resorts. Stay on the rolling hills of a golf course, in a lakefront property, or right near the 76 Strip and all the attractions that have made this area popular with travelers. We have a number of vacation homes in Branson, MO in our inventory that make it easy for us to help you make your reservation in just the location you prefer. Adding to the appeal of our six-bedroom vacation homes in Branson, MO is the way they are fully furnished and accented with beautiful furniture pieces and décor. The fully equipped kitchens come complete with all cookware and appliances needed to make delicious home-cooked meals for all guests to enjoy. Sleeping arrangements may include a mixture of king, queen, full, twin, and sofa beds. You will also find the ultimate in comfort and relaxation with our top-notch living and dining room sets. Our six bedroom vacation homes in Branson, MO offer approximately 1,800-4,900 square feet of space for you to enjoy freely and privately. While easily sleeping up to 20 people, the rentals have a range of amenities to make your trip as pleasant as possible. As an example, you may enjoy lake, golf course, or mountain views from the outdoor decks, fireplaces, satellite TV, access to swimming pools, private boat docks, and more. Our team at Sunset Nightly Rentals is dedicated to ensuring your Branson vacation is one-of-a-kind. 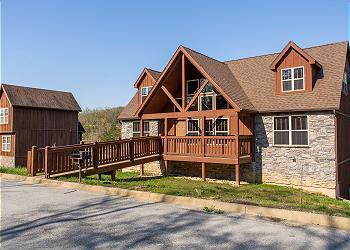 Our six bedroom vacation homes in Branson, MO will make it easy to make the most out of your vacation!